This python program will read the temperatures of each data point collected in each BT-1 data file in the directory it is run from. 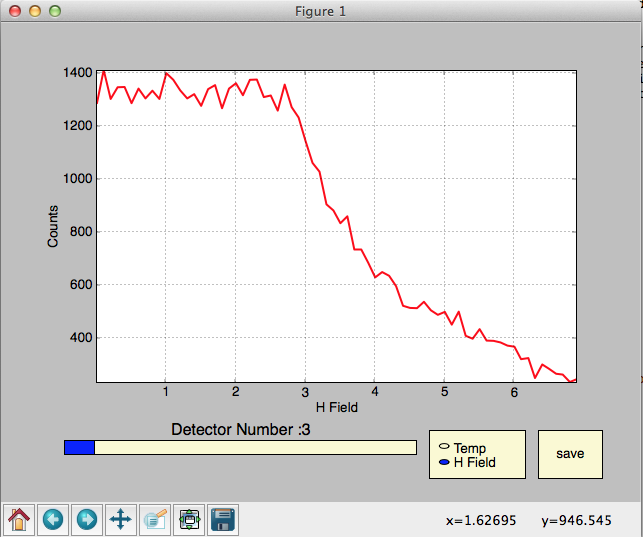 The data is plotted for the mean T, a blue error bar for the std dev. and a red error bar that indicates wether the maximum deviation from the mean for each file listed horizontally. 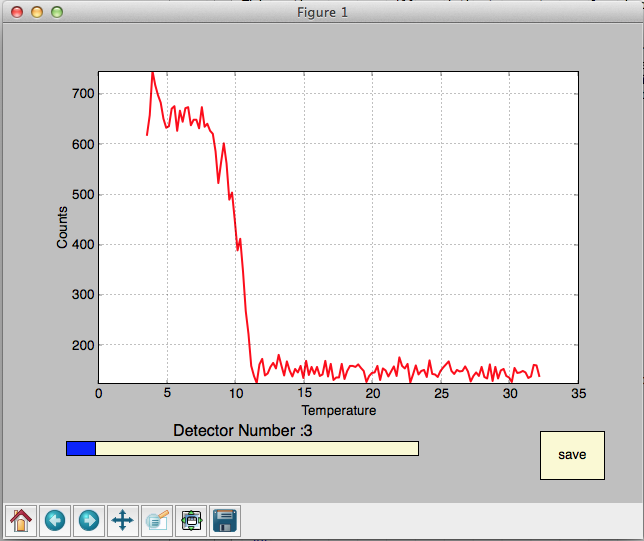 This is useful to quickly check for thermal equilibrium throughout data collection in one convenient plot. 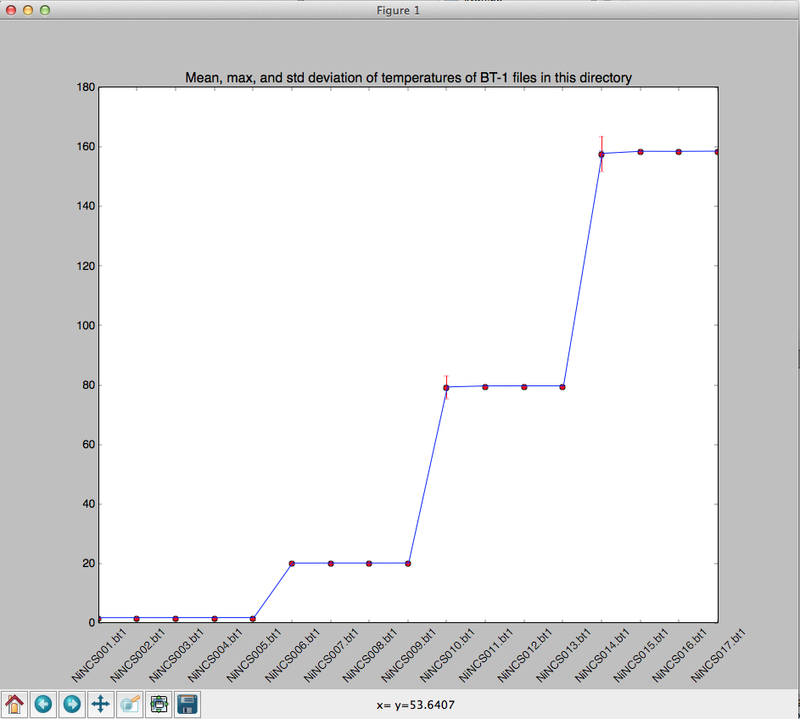 This python program will read the temperatures of each data point collected in a given BT-1 data file. 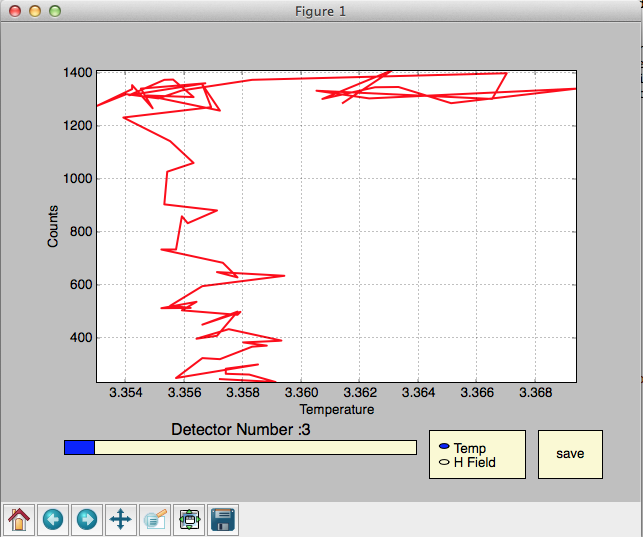 The data is plotted for each detector position. This is useful to check in more detail about the thermal history throughout data collection in one convenient plot. 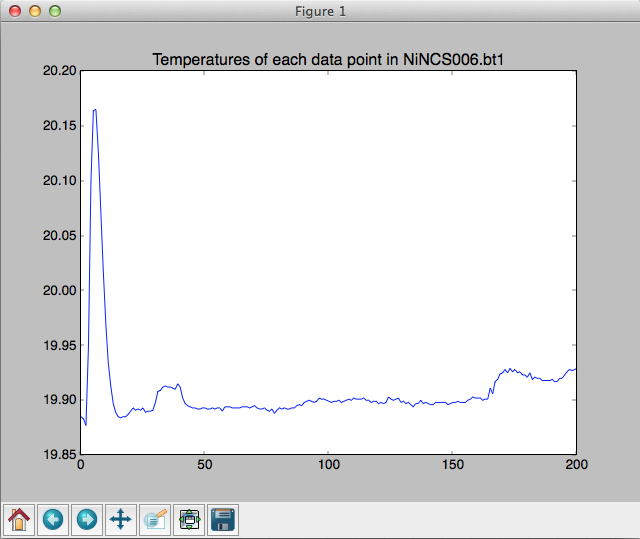 This python program will plot the temperature or (if available) the H-filed dependence of each data point in a BT-1 file. It is appropriate ONLY for those times when sitting on a particular Bragg peak and scanning T or H.
The chosen detector (via the slider) dependence against T or H (if a BH1 file is available) is plotted. Data can be saved as det#.dat with the 'save' button.